3L Corporation is recognized in Europe as an innovative leader in value-added bindery and finishing pressure-sensitive pockets and media storage components. These products are copy safe, flexible, shatter-free, and durable. 3L products are manufactured from environmentally friendly, high optical clarity, adhesive backed polypropylene (unless noted otherwise). 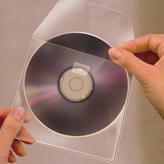 Protect CDs/DVDs, ZIP, and floppy disk surfaces from dust and dirt. 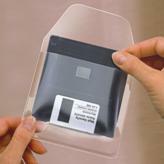 Excellent for storing or mailing your media item. 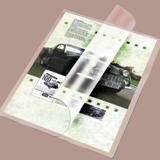 Triangular, self-adhesive corner pockets for books, folders, binders, catalogs, and other printed items. These pockets mount on machines and equipment to hold instructions, contracts, maintenance records, and service cards. 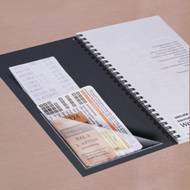 Protection for drawings, cards, and price lists, etc. Protect inserts while creating a professional image. 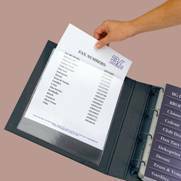 Adhere pockets to presentation folders, binders, boxes, or anywhere. Mounting adhesive on the backside allows these sign holders to be removed without damage to most surfaces. 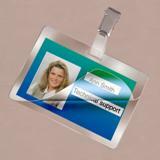 Great for displaying retail store sale specials, trade shows, meeting locations, and new product announcements. 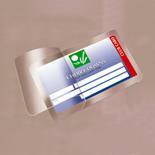 Laminate ID badges and luggage tags without the need for a heat lamination machine. 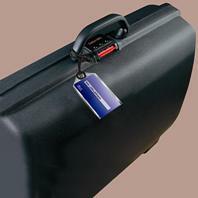 A clip is available to attach the ID badge and a heavy duty plastic loop for attaching the luggage tags. Made from a mixture of polypropylene and rigid PVC. Conveniently laminate menus, business cards, membership cards, drawings, instruction cards, and much more without buying expensive machinery. Made from a mixture of polypropylene and rigid PVC.